CompTIA is one of the most trusted providers of Information Technology certification. As an industry leader they help certify a generation of highly paid professional talent. Offering a handful of certifications, CompTIA prepares people who test with them for a lucrative career in various IT fields. We’ve compiled a list of the 5 highest paying CompTIA certifications to give you a glimpse into an incredible certification program. In this article you’ll find a breakdown of five simple certifications that open up new jobs in thrilling careers with very good pay. CompTIA offers high quality certification in some of the most cutting edge technological fields. They require continuing education, insuring that all certified individuals are up to date, and regularly update the certification programs. There are a few basic starter level certifications with CompTIA and some higher level ones as well. One of the best things about getting certified is that even with an entry level certification, the expected wages are more than $50,000 a year. This means investing 6-8 months in training and getting certified can net you a far superior paycheck than most first year jobs. So what certifications pay the most? Obviously the most complex certifications with the highest requirements pay the most, but for the purpose of this article, we’ll cover the professional certifications that you are likely to encounter early on. Jumping into certification can be a bit intimidating so we recommend checking out what the material is like online! You can do this for free and with any CompTIA exam with the resource we have right here. So what are the 5 highest paying CompTIA Certifications? Clocking in at an average of $55,000, the A+ certification is an underrated way to get industry experience at livable wages with minimal training. An A+ technician is known as the jack-of-all trades in the IT world. They can work with a variety of Hardware and Software, setting up OSX, Windows, and Linux systems as well as networks. As a certificate, this is the base level of CompTIA and prepares you for numerous fields. It’s recommended to do A+ even if you want to enter into another field because the training is just so critical to a foundation in IT. For a couple months of study and two exams, this certification gets you into the industry and paid well. There is a huge need for qualified workers deep in the bowels of office complexes working on server technology. Often times the background jobs that no one really thinks about are taken for granted. Working in areas such as the massive server building at a large corporation such as IBM is a lucrative and enjoyable career path. While things are migrating to the cloud (Which we cover below) the cloud is a physical place. 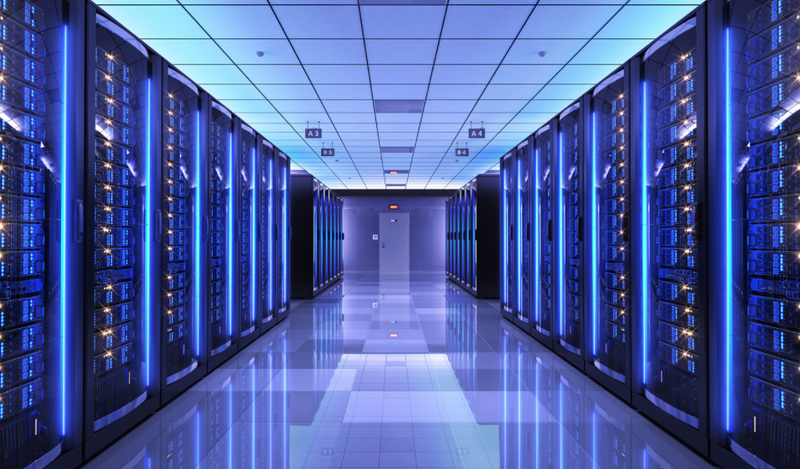 At the end of the day, the cloud is still a large server room somewhere hosting tons of information and data. Designing, implementing, and managing a server is a technical feat in itself. Few understand the nuances of picking one server software over another, spinning up VM’s, installing UPS and server racks. The deeper you go, the more important it is to understand all the nuances and underlying facets of servers. If you like tracking down something that is broken, server administration is for you. It’s an intense, fun, puzzling job that needs someone who can think through problems logically. The pay is great too! 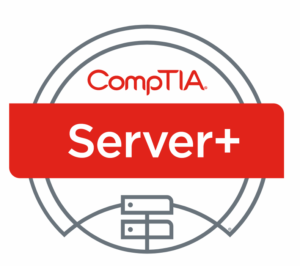 Security is a growing need in IT and CompTIA offers low-level security certifications such as the CompTIA Security+, as well as higher-level certifications like the CSA+. The CSA+ bridges the gap between Security+ and CASP (A master level cert requiring 10 years of experience!). The CSA+ or Cybersecurity Analyst as it’s known, is a certification that teaches the latest techniques in securing computers from threats, analyzing how safe a system is, and even detecting threats and prior security breaches. As a certification, it’s great for those who strive to think through every aspect of a system set-up and create incredible, secure, environments. This field will only grow in the coming years and eventually be one of the most lucrative career options. CSA+ gets you on the right path and starts with a salary approaching six figures. Networking jobs are abundant in the industry. 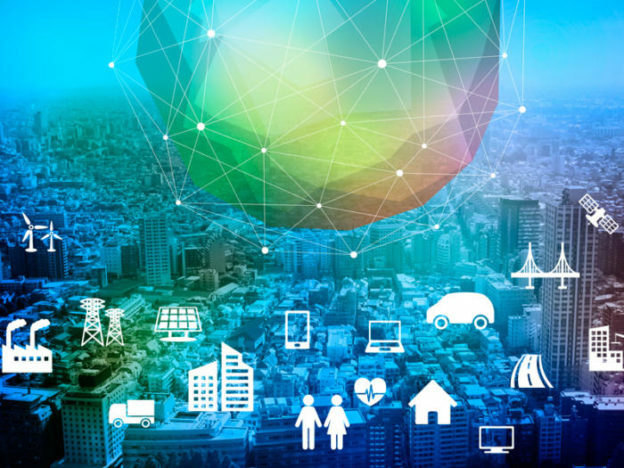 Whether it’s running ethernet cords across a building or connecting 40 workstations, every business needs a network and someone to run it. Networking covers a lot of the more nuanced factors with building and creating a system that allows the sharing of information across large distances. These networks are inherently complex and many things can go wrong during set-up. That’s why CompTIA Network+ offers the training and skills to connect computers and servers together across a building. Network administration can involve installing wire through the ceiling, labeling a switch that has been set-up poorly, and running back and forth to get the internet fixed during a system wide malfunction! When the network breaks down, no one can work, this means a Network professional is often on call. The awesome part about Network jobs is that you have the freedom to build and create a wide range of custom solutions. It takes a creative individual who loves building things. Cloud computing is an emerging technology and because of that, there exists relatively few in the space who are filling the vast need of designing and implementing cloud based systems. As an early adopter, this certification is great for those who see the future of technology migrating to systems that are no longer limited to a physical location. Those who understand the early adoption of cloud based tech will love the up to date training of the Cloud+ certification. While it used to be hard to find people looking for Cloud based techs, the prolific growth of the cloud market has made it far easier to find work with Cloud+. The jobs are stellar, paying very well and offering quite a bit of job security as long as you keep your skills up to date. Starting at six figures, Cloud based jobs are the future and very rewarding. Thank you for reading through our guide on the 5 highest paying CompTIA Certifications. CompTIA is just a good choice, it’ll open up doors to new career paths and offers incredible income for the amount of time and money you need to invest. Hopefully you’ve seen a possible career path through this. If this article has helped you, share with us how in the comments below! And as always, check back later for some more unique guides on the Certification world and what you can do to progress in your IT career. This entry was posted in Exam Certifications and tagged career, certification, CompTIA, IT professionals on December 28, 2017 by Blog Admin. How to Start a Career in IT Without Any Experience? Information Technology is one of the fastest growing career fields today. Currently IT jobs are also some of the highest paying and most rewarding jobs around. Still, we all have to start somewhere. Whether you want to program C++ applications at a Game Studio or fix today’s most challenging technical issues, careers in IT can be hard to get without a few tips and tricks. We put this guide together to help you jump start your IT career with limited experience so that you can be part of the best industry out there today. Keep on reading if you want to know how to start a career in IT without any experience! One of the most frustrating problems with working in IT is that most jobs require highly technical skills and a large amount of experience. But, that experience and skill is costly, thus even entry level positions may pay starting wages from $50,000 to $70,000 a year. With an investment of that caliber, many employers put up complicated requirements for even entry level IT roles. You may see requirements such as 3 years of experience, a Bachelors degree, and several certifications just for an entry level gig. So when you first start out and want to break into IT, you may be unable to find many jobs that don’t require experience. The problem for most people though, is that you need an IT job to get that experience! Add to this that employers often don’t understand what they want in an IT professional, and you have quite the mess to sift though. So how can you beat the odds and get hired without a degree and years of work experience? If you want to know how to start a career in IT without any experience, it’s quite simple and starts with merely educating yourself at home. Just because you lack experience doesn’t mean you need to lack knowledge. The internet is full of incredible training programs, often free. Taking a few basic courses from Udemy or a free Microsoft education course can show you whether or not a specific field is for you. It can also teach you the same skills and training that top level employees learn. Granted, you won’t become an expert overnight and competing with Bachelors Degree quality courses requires a strong commitment. That being said, even MIT offers free online versions of its computer science course if you want to watch some lectures and learn the most intense technology related information out there. Even the most experienced employee will begin to lag behind if he isn’t keeping up to date, so you have a real advantage if you regularly educate yourself. Experience isn’t always a good indicator of job success; rather past behavior is. As an employer, I may prefer a qualified candidate to someone who is just “Good at computers,” with some experience under the belt. Suppose I had to pick between a certified candidate who had spent months training in a particular IT field, or pick a candidate with 1 year of general IT experience. While you may think experience always wins, certification is an intense and sometimes costly process. If you have a candidate who has managed to finish CompTIA or some low-level Cisco CCNA training, they have proven themselves to be capable of several incredible things. They study hard, understand high-level concepts without much supervision, and are very driven! 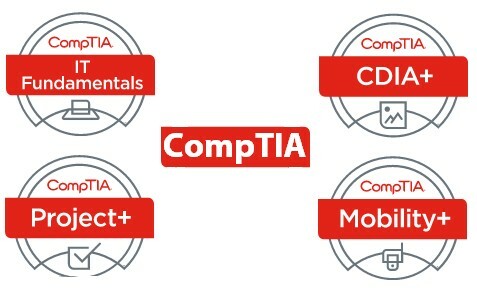 There are hundreds of certifications but we recommend a general all around certification like CompTIA A+ where you will learn the Hardware and Software side of computers as well as troubleshooting. Even without experience, a CompTIA cert will net you a starting salary of $50,000 or more! The best way to look into a certification is to try out some of the free practice exams they have online, that way you can see what the exams are like and if the technical focus is something you’d want to enter into. You can find a TON of practice tests for the most popular certifications here. Most jobs require Microsoft Office to some extent. With a few hours and some practice you can learn every program that is in the Office suite to a level of proficiency that an employer loves. Whether it’s coding out formulas in Excel or using Word to create templates, this is just a great starter skill. Secondly, learn each component of a PC, and how to build one from scratch. This will inform you greatly on desktop computers and also give you the confidence to handle a TON of technical problems that you will encounter. It’s a simple, quick, impressive skill to have. Many tech industry professionals filter out candidates for a job position before a living being even gets the chance to read the resume. Using learning algorithms and advanced tech, computers can sift through a TON of applications and weed out the ones that don’t fit the needs and desires of the employer. This isn’t without flaws. Great employees might be missed because they don’t fit a specific set of criteria, but that criteria might be flawed. For instance, someone with a lot of experience and technical knowledge may not know how to translate what they do to the industry terms a Vendor would want to hear. The modern Resume industry uses tons of industry jargon, “Works well with others” might be the same as “Cross-collaborates in a diverse setting,” but you wouldn’t know unless you had help. There are tons of companies online that specialize in helping you workshop your resume for proficiency. If you think an entry level job for an IT career involves programming and high-level problem solving, perhaps you need to adjust your expectations! A career in IT may start at a Mom and Pop computer shop or simply being part of the Geek Squad at a local Best Buy. Most IT workers dedicate a lifetime to pursuing knowledge in a given field. Don’t overlook the level of on the job experience and learning you can get in a non-traditional IT role. The experience you gain from studying IT subjects at home and working towards certification heavily influences your ability to get an IT job. For instance, working at a call center to answer problems for a large company like Dell may give you the technical knowledge you need to progress in your career goals. In an environment like that, you may be able to even climb the ladder and enter into a better career path. So don’t discount little shops, call centers, the Apple store, or any other place where computers and service mingle! Those fundamental brushes with tech can open HUGE doors. These jobs rarely require experience and can give you enough knowledge to get a foot in the door elsewhere. The better your foundation in tech, the higher chance you can get hired without having all that technical experience. Use this starter job to propel yourself into your career goals! Keep learning and pursuing IT work. 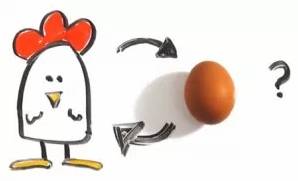 There is no secret key to getting a job without experience, those who want to know how to start a career in IT without any experience can be comforted by the thought that everyone starts at the same place. We all need to take time and equip ourselves with knowledge until we have the skills and abilities to climb up that occupational ladder. If this article has helped you, tell us how in the comments below! And as always, keep checking back for great articles on certification and the IT world! This entry was posted in Exam Certifications and tagged Career in IT, Exam Certifications, IT professionals, ITExams, self-educate on December 18, 2017 by Blog Admin. 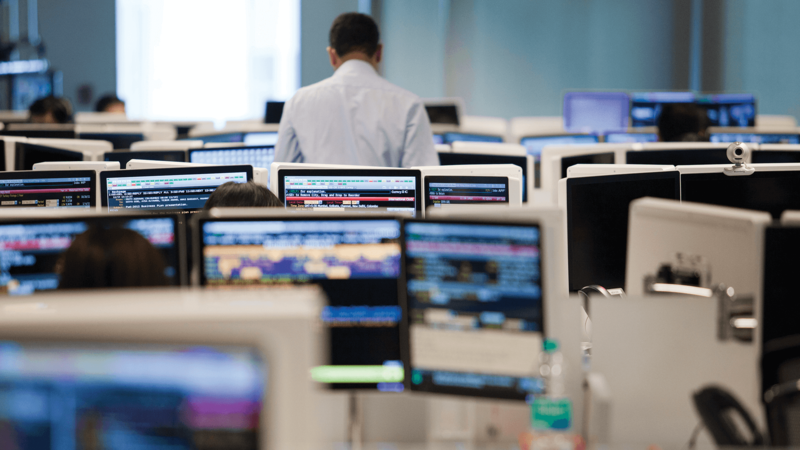 Becoming a Cisco Certified Network Associate is the first step towards a fulfilling lifelong journey in Information Technology. Exam day though can be a challenging experience for those who have never tested for certification before. That’s why we put together this helpful guide for passing the Cisco 200-125 Exam and becoming a Certified Network Associate! The 200-125 is an entry level exam for the CCNA certification with Cisco. Basically a Certified Network Associate can handle the complex world of networking that is encountered in the IT world. From building server rooms to connecting computers across a campus, the CCNA certification is designed to test whether or not you possess the skills and qualifications to install networks in a professional setting. It’s a very good certification and leads to high paying jobs and incredible opportunity. Setting up a lab is one of the most effective ways to study for the 200-125! Just like taking a written driving exam doesn’t translate to actually driving, most of the challenges involved with networking are only solved when coupled with real life practice. You’ll find it impossible to completely understand networking without some basic equipment. Only a few simple pieces are required to set up your own testing lab. 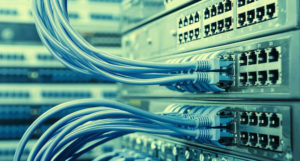 With some ethernet cord, a router, and internet connection, and two PC’s/devices, you can make major strides in testing and understanding networking concepts. Taking a certification exam is far easier when you have practical hands on experience. A laptop or even a mobile device can substitute for some of the lab items too if necessary, preferably it’ll have an Ethernet port. When you have the components, take some time to study how a network is set-up and practice different network Diagrams as well as setting up and taking down a basic network. Learning these basic networking steps will start to inform you how to pass the Cisco 200-125 Exam. 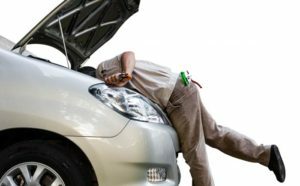 It’s a very basic start, but you’ll start encountering problems and troubleshooting issues that teach invaluable experience. Next, pick up a solid book on the 200-125. While reading through a book can be tedious, slowly working through the material everyday will start to prepare you for the exam. There is a LOT of information. One of the other factors involved is realizing that even though there is a lot of information, it’s not necessary to remember all of it. It is necessary to be familiar with it though as you’ll encounter it in most jobs that actually use your certification. So start by working your way through an entire book, then reread it, the second time highlighting subjects that are hard to understand. Most certifications require memorizing some random information such as all the various networking standards, adapter formats going back a decade, and more. CCNA’s work with servers on a regular basis. After setting up your own SOHO network, the next logical step is to create a mini-server. This can be done with a really bad PC by using free server software or you can get your feet wet with an industry professional software bundle like Windows Server 2012. If you pursue networking, servers will be a natural thing that you work with. Try creating one, connecting it, creating domain names, spinning up VM’s, or any other daily tasks that you’ll encounter on the job. This will prepare you for more than just certification, it’ll prepare you for the actual work you plan on doing. A router can do many things, from installing alternate firmware to informing you about the difference between IP4 and IP6. Once you understand the hardware side of networking, it’s time to study the really complex practical side that involves IP information. Make sure to practice setting up a vlan, changing the password on a router, using cmd prompt to change networking configurations. These complex and nuanced skills will help you on the exam as well as your future career path. Once these concepts become second nature, it’ll be way easier to pass the test. The CCNA program has so much information that it is like drinking from a firehose. The test itself won’t have nearly all the things you study for on it. That means you need to get a feel for what is and isn’t actually on the test. One of the best ways to get experience of the exam is to take an online practice exam. Exam providers such as ITExams.com offer high-quality practice exams for those who are interested in pursuing a career in IT. The practice exam for the 200-125 can be found here. These exams are created by industry professionals and designed to mimic the real thing. That means you see questions similar to what is actually on the exam and get a realistic feel for what you’ll encounter on the actual CCNA. Sign up and take the exam! We recommend studying regularly for a few months before jumping in as it can cost several hundred dollars. The exam itself consists of 60-70 questions and takes 90 minutes to complete. Just a simple afternoon. If you pass, you gain access to a whole world of new job opportunities and are officially recognized as a Certified Network Associate. We hope this guide on how to pass the Cisco 200-125 Exam has helped you understand a little bit more about the CCNA certification process. Our goal is to keep producing incredible content that shows you more about the world of certification. If you’ve learned something, tell us in the comments below and share this article. Until next time, good luck learning and we hope getting certified changes your life! This entry was posted in Exam Certifications and tagged certification, Cisco, networking on January 15, 2017 by Blog Admin. 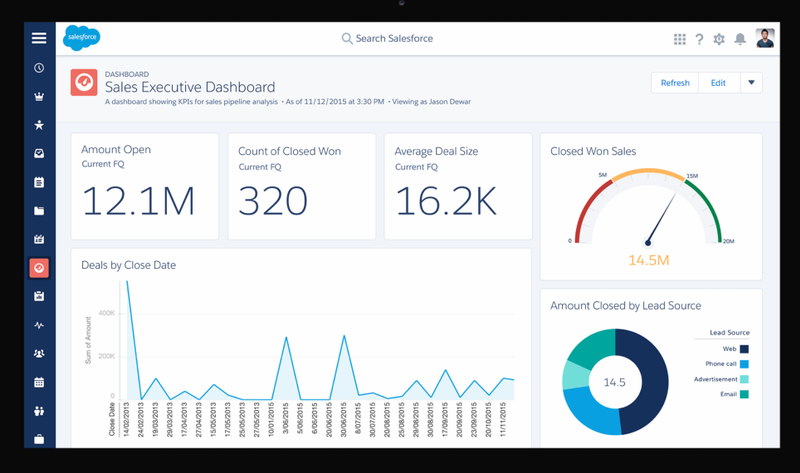 Salesforce, you might have heard the name in passing before, but as unknown as they are to the everyday person, Salesforce powers the most powerful client management software on the market. This software runs under the hood of many local businesses helping them to win over clients day after day. One of the most beloved industry certifications right now is flying under the radar with massive demand for certified employees who get CRM technology. We’ve put together a little Salesforce ADM-201: FAQ & Tips guide so you can make an informed decision about becoming a Salesforce Admin! 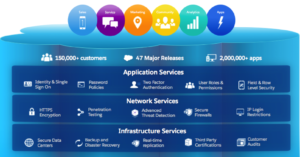 What Exactly is ADM-201 and Salesforce? First Salesforce is primarily known as a CRM or Customer Relationship Management Platform. The use of CRM platforms in business applications is for keeping good data with customers, staying connected, and increasing customer engagement. Salesforce is a particularly successful CRM that has garnered interest from many different professional employers. In fact Salesforce software skills are the 7th most requested in the industry. That might seem like a low number but when you consider the hundreds of software bundles and coding languages in existence, that’s pretty impressive! The ADM-201 is an entry level administrator certification which tells employers that you are a qualified user and leader in Salesforce technology. A skill like this is desired across many different industries that work directly with a large pool of customers. Why Would I Want to Get Certified with ADM-201? Salesforce skills aren’t just another notch on the belt, they are in high demand. Jobs that start with ADM-201 certification can easily pay $70,000-$100,000 just to start with. That means for a minimal investment, you can be earning close to six figures. An incredible windfall for those just starting out in technology. Even if you aren’t pursuing a career with Salesforce, the knowledge alone that you get can help take your business relationships to new territory. CRM mastery is an incredible skill to develop whether you work in IT or any other field that simply deals with customers. There are few pathways to high-paying entry level work that beat the Salesforce path. It also allows you to get your foot in the door with the certification and training process and if you are interested in an IT career, you will do this often. What Does a Salesforce Admin Actually Do? Since they have a really advanced CRM, a Systems Admin helps run and implement that CRM system. It can be technically demanding and there are a ton of facets to it, but basically, CRM’s help you manage information on clients and more. An Admin helps maintain, grow, and use the system while training people on the use of Salesforce as well. Working with internal stakeholders you help create more engagement with your audience. So in short, you run a CRM, but it’s a REALLY advanced and complicated CRM. Well, How do I get ADM-201 certified? The ADM-201 consists of simply one exam with 60 questions. 90 minutes are allotted. The passing grade is 65% and the test can be retaken if failed. The first time is 200 USD plus applicable taxes, with retakes costing 100 USD each. It might sound easy to get a 65% but don’t underestimate the ADM-201. Salesforce is a proprietary software program that requires training to operate. You can’t just “Guess” your way through the ADM-201. There are several courses that offer the basics though for new users so that you are able to tackle the ADM-201 course a bit better. For more information on the test itself, visit the official Salesforce website. 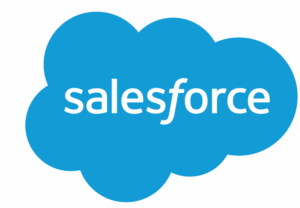 Salesforce offers exams in 5 languages with more to come. The exam can be taken in English, French, German, Spanish and Brazilian Portuguese. One of the great perks of this is that Salesforce is a global skill and you can use the technology effectively across the world. One of the most challenging aspects of certification exams is guessing what will be on the test. You can study everything possible or study a handful of subjects in the hope you won’t miss anything, but there is a far more effective way. Certification is such a common occurrence in the industry that many have gone before you learning the ropes. These forerunners have taken it upon themselves to create and offer online curriculum that prepares those getting ready for certification for the process. Online test providers such as ITexams.com offer online practice material that is verified by experts and as close to the real exam as you’ll be able to find. Best of all, they’re usually the lower cost option for studying. Some of the better training can cost thousands, far more than the exam itself. Getting familiar with online practice materials is a great way to prepare for being a salesforce admin. Nothing Can Beat Real-Life Practice! 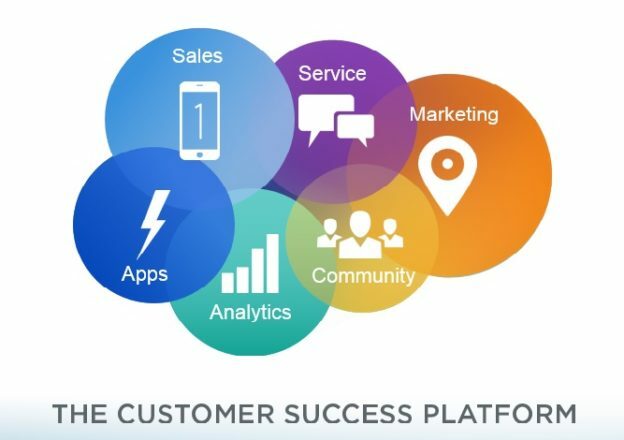 Salesforce offers free trials of its CRM on their website. Unlike other IT skills, you can spend hours practicing in a real environment and becoming familiar with the software before setting foot into an exam room. It’s still wise to couple this experience with some online training though as the software is rather complex and broad enough that you’ll need a little help knowing what to study! This isn’t just low-level software, it is enterprise technology that companies invest a lot of resources into every year. Just a cursory glance at salesforce shows you that it requires a bit of training and familiarity just for basic use. Getting a free trial is probably the best way to prepare yourself for actual work with salesforce software and seeing if it is for you. If you are nervous about passing the exam, Salesforce offers a course in Administration Essentials for New Admins. This means you can spend 5 days either physically in a classroom or attending online with a virtual classroom. Be forewarned that the physical class can be a little expensive so it’s best to arrange this with an employer or be ABSOLUTELY sure you want to progress in Salesforce. Despite the cost though, the HUGE salary bump makes salesforce training well worth it. Udemy also offers a few courses for a pretty reasonable price designed to help those seeking to pass the ADM-201. We hope you enjoyed learning about Salesforce and are pumped to jump in and start your journey. We trust this Salesforce ADM-201: FAQ & Tips will take you far in getting ready for certification. If this article has helped you become a little bit more prepared for the life of a Salesforce Admin, take some time to comment and tell us! We love hearing from our readers and as always, keep checking back regularly for more great articles on certification. This entry was posted in Exam Certifications and tagged admin, certification, CRM, salesforce on January 10, 2017 by Blog Admin. ISACA is one of the world’s leading authorities in cyber security and they offer a complex suite of testing options that ensure you are qualified to maintain and create security systems. They also get you a pretty awesome paycheck as well. Many have never heard of the certification process through ISACA so we made a complete guide for passing the ISACA CISM Exam. In this guide you’ll hear tips and tricks to get the best out of pursuing certification and hopeful prepare for a life-changing cert! Why would I take the ISACA CISM Exam? Earlier this year there was a huge breach at Equifax. This was the largest breach of private user information in the history of the internet. Over half of the U.S. was exposed to possible theft of their Social Security number and more. Events like this could be prevented by already well established guidelines on cyber security. The shame is that companies that don’t prioritize Cyber-Security can lose billions of dollars on security breaches. All it takes is one mistake to wreck a corporation. Because of this, certifications focusing on security are at an all time high! If you want a cert that will get you a stellar job in the industry while remaining secure against the constant marching of technology, CISM is it! 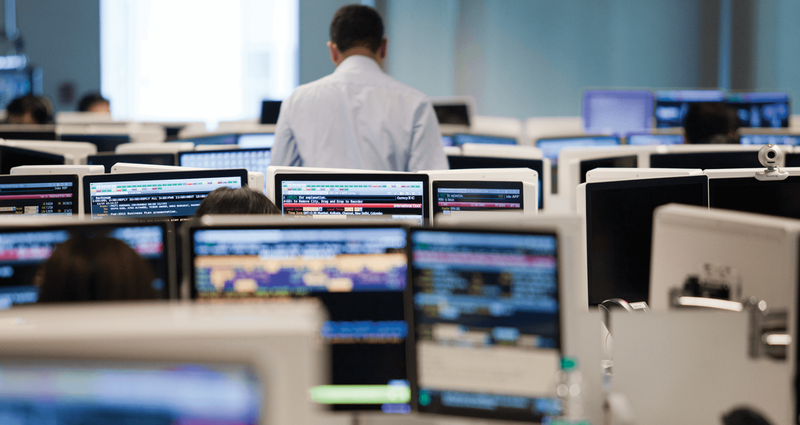 Information Security Managers create strategies for securing a business and help review and implement what’s already in place. Globally Certified Information Security Managers are paid an average of 44% more than counterparts within similar work fields. It is a good certification to have. So where do I start with passing the CISM? The first step towards getting certified involves gathering the equipment that you’d likely need to secure on the job field. One of the best ways to learn Cyber Security is by attempting to break into your own personal hardware. Most of the breaches seen today can be prevented with simple changes to the system, for instance, changing the default password on your router. 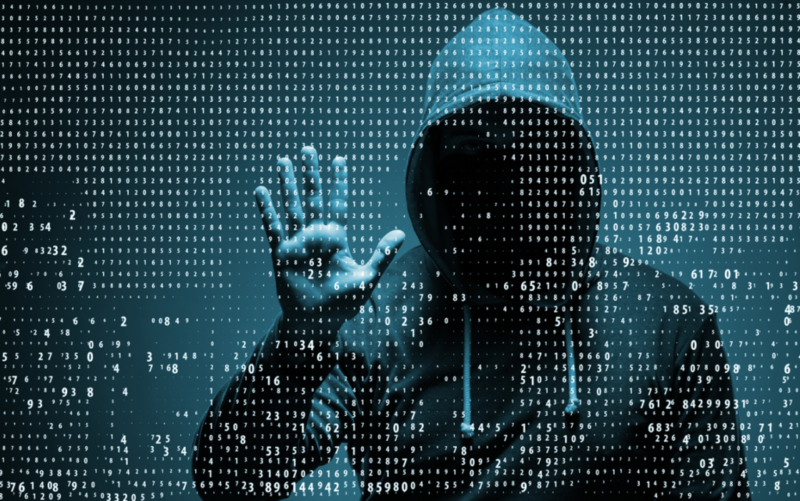 Gathering the equipment that you’ll be securing allows you to set up a personal testing environment whereby you can not only practice Cyber Security, but do it with mitigated risk. The recommended components are a personal computer, a server, and a router. Those three devices represent the most common items breached in a business setting. This is not an easy exam. I must emphasize that. We recommend at least three months of daily study but realistically a year of experience is best for some people. Some exams are just a bit of technical information but ISACA has really strove to offer a challenging test that proves you know what you are doing. As such, be prepared to spend long nights reading through tough subjects and testing out these ideas on your PC at home. Learning about Cyber Security involves being somewhat familiar with computers in general. Both OSX and Windows have complex user asset management systems. Practicing Active Domain with a server or setting up Virtual Machines can give you the experience necessary to practice Cyber Security. This test takes months to study for so start out by mastering the basics of hardware and software. You’ll need that foundation if you want to practice Cyber Security. Even at a high-level business with good WPA protection, it’s not uncommon to see very limited settings on the router. This means any random person walking in could potentially lock you out of your own internet at your own business. Some of the greatest scandals in the IT world have occurred because of simple password mismanagement. In the Information Security world, you’ll be advising and helping people solve the security problems of today and tomorrow. This means that one of the best ways to gain practical experience early on is by auditing the security of your own devices and systematically securing them. Consider learning how to change the settings on your router, learning the different between WPA and WPA 2 or other security formats that help to keep devices on lock down. Look over the list of top ten password mistakes and memorize red flags. This foundational exercise gets you familiar with some of the ideas and thinking you’ll encounter when studying for the CISM. When you are a bit more versed in basic security, it’s time to dive in and start studying! There is so much involved with Certification that it can be a bit overwhelming. One of our favorite methods for cutting out the clutter so you can learn best what you need to know the most is by using an online practice exam provider. A solid practice exam for the CISM can be found right here. These exams walk you through real-world examples of actual problems you’ll encounter on Exam day. That means you don’t have to focus on memorizing every piece of trivia on Cyber Security and can focus on actual test related items. These online tests have been created by industry professionals who review the questions and have been certified themselves. Basically, this is a key way to know what CISM entails and get busy getting ready with it. Practice Exams have a huge amount of information (This one has nearly 650 questions!) but this is all designed to help you focus on what matters, not some of the more trivial information that can be disregarded. Whether it’s a five day session in a classroom or an online course through Cyber Vista, taking an intensive course is a great way to cover the necessary information and move forward with your studies. CISM is more intense than some of the basic certifications you’ll see and as such you can really benefit from some classes on the subject. Take some time and consider if you need that. If you aren’t acing the practice exam online, keep studying or get a bit deeper with the core material. ISACA exams aren’t offered every week. This means registering early is important, when you feel confident enough that you’ll be able to pass with a few weeks of study, start looking into registering. There are three test periods per year so make sure not to miss them, otherwise you could be waiting months! Also remember that the price is a bit higher than most exams ($525) meaning that you do not want to fail this one. Unlike many other entry level certifications, ISACA doesn’t void job experience requirements, in fact, after passing the exam they still require you to work in your field and continue education so that you can remain certified. This is one more thing to keep in mind before exam day. Just because you pass the exam doesn’t mean you are done with the process. It goes without saying but when you take the Exam, be wise! Don’t stay up late or put off studying, this is a huge investment and potentially lifechanging career step. Take it seriously on Exam day. We know you’ll pass with flying colors if you followed our complete guide for passing the ISACA CISM Exam. Certification is a lifelong journey and some of the higher level ones take a real level of dedication to get through. We hope this clarified some of that for ISACA and wish you luck as you considered pursuing one of the most lucrative and rewarding certifications available. If this guide has helped you, perhaps take a second and share it with others who may be considering certification and leave a comment on what you liked! As always, check back often for more exciting content as we delve deeper into the world of Certification! This entry was posted in Exam Certifications and tagged certification, CISM, cyber security, ISACA, security on January 2, 2017 by Blog Admin.